US (Lower 48 States) including Alaska, Hawaii and PR. AMD Phenom X4 9950 Black Edition 2.6 GHz Socket AM2 desktop CPU HD995ZFAJ4BGH 140W. HD995ZFAJ4BGH is an OEM/tray microprocessor. A BIOS upgrade may be necessary. Here is a 64-bit Socket AM2 quad-core CPU from AMD running at 2600 MHz. Asus M2N61-AR (Acacia), Socket AM2, AMD Motherboard. Condition is Used. Shipped with USPS Priority Mail. Includes only what is pictured. I/O panel is included. Removed from a working system. CPU Socket Type. Supported CPU. Storage Devices. Form Factor. Physical Spec. Onboard 1394. Onboard USB. Internal I/O Connectors. Trending at $17.70eBay determines this price through a machine learned model of the product's sale prices within the last 90 days. Sale is for: ASUS motherboard with I/O Shield and Athlon 64. This board has been tested by one of our experienced technicians by installing a compatible CPU and compatible Ram. No other accessories are included in this sale. AMD Athlon 64 X2 6000 3.0 GHz Socket AM2 desktop CPU ADA6000IAA6CZ. Here is a 64-bit Socket AM2 dual-core CPU from AMD running at 3000 MHz. This one is known as an Athlon 64 X2 6000 . AMD's part number is ADA6000IAA6CZ. AMD Socket AM2. Acer Aspire M1400 M1420 Desktop Motherboard. Acer Aspire : M1400, M1420, M1400-B4028, M1420-B5008. Compatible Models. 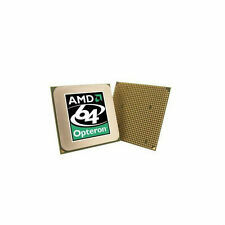 AMD Athlon 64 3500 - ADA3500IAA4DH SOCKET AM2 . Condition is Used. Shipped with USPS First Class Package. Will-Call Hours 1988 E. Alpine Ave.